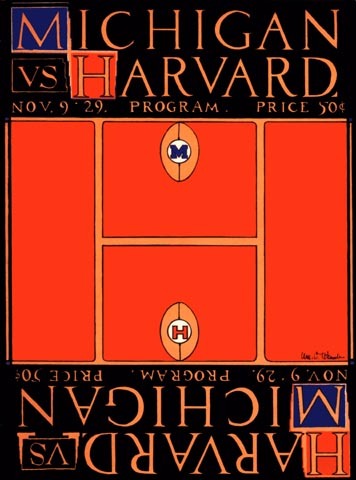 The Ivies played on a much higher level in the 1920's than they do today, as you can see by the narrow score of this game. The much smaller roster sizes and the two-way player had a lot to do with this, as well as the regional recruiting base of just about every school. But quiet as it's kept, even Harvard was well noted for having a quasi-open admissions policy for just about every good athlete in the northeast who could read and write.